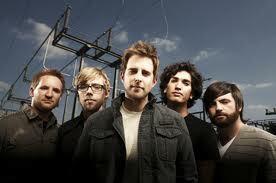 Saturday night my family and I attended a Sanctus Real concert in Decatur, IL sponsored by Antioch Christian Church. It was well attended and the concert was awesome. I am so glad to be able to see a Christian Band that actually paused a few times to allow lead singer, Matt Hammitt, to share a moving testimony concerning the life of his son, and the struggles that he and his wife Sarah experienced in this past year, as they saw the Lord move in a mighty way to bring health and healing to their son. Praise God!! Matt also brought a stirring sermonette inspiring the crowds to trust in God alone, for their is no other way. As long as bands like Sanctus Real continue to uplift and uphold the Lord in their ministry and daily lives only blessing can be the out come. Thanks Sanctus Real for a moving concert! One other plus was the fact that so many families were in attendance with their small children. May the Lord bless all of the parents who thought it was a good thing for their children to see a band with such a positive message! Kudos to the band for taking the time to do a meet-and-greet after the concert. It made my children's day! They were off the charts last Summer at the Illinois state fair at the Powerlight Fest, brother Mike!! Praise God!! FORGIVEN was the best song I heard last year! Blessings and glad you had a great time at the concert! It was great. I actually spent sometime sharing Christ with others and the concert was a real blessing. 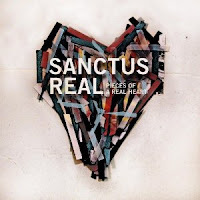 Many that were there were not Christian, so I was glad the message Sanctus Real brought was on target. God Bless you brother.